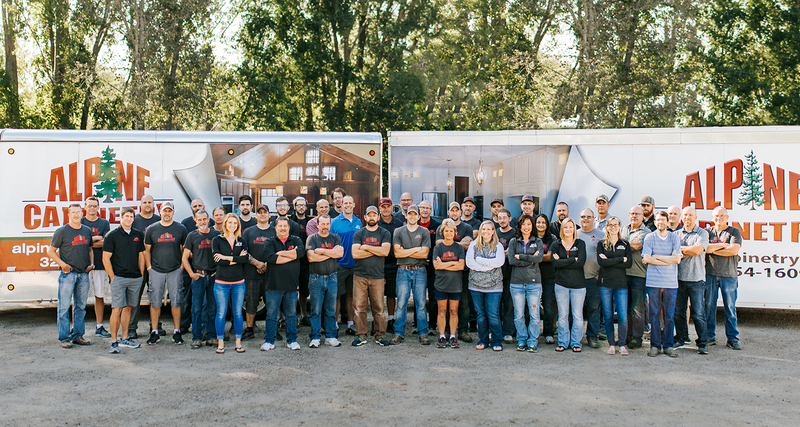 When working with Alpine Cabinetry you’re not only getting a superior quality product but a team of dedicated, trustworthy, hardworking individuals that strive to make each project, large or small, a pleasant and memorable experience. The Alpine Cabinetry team located in Saint Cloud, MN is committed to providing quality woodworking services to residential, multi-dwelling, and commercial applications throughout the state of Minnesota, including the Twin Cities and across a five state region. The team consists of skilled craftsmen, experienced drafters, meticulous project managers and creative designers. They pride themselves on their in-house management and craftsmanship of quality cabinetry, specialty millwork, custom woodwork and fabrication of solid surface and laminate counter tops. Contact us for a free estimate or to schedule an appointment with one of our knowledgeable project managers or feel free to stop in and explore our showroom for ideas for your next project. click here to learn more about WACOSA.